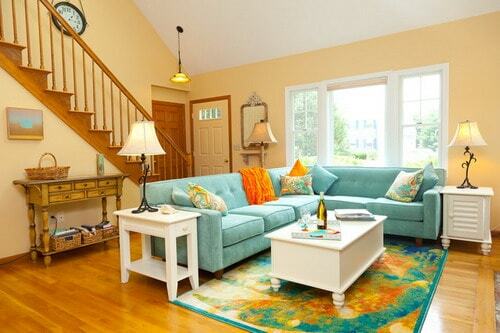 Cottage Living Room – The relaxed informality of the summer rental cottage doesn’t have to stay behind at the shore. Easily re-create the comfort and ease of cottage style in a suburban home or a downtown apartment with relaxed and comfortable furnishings that welcome you to sit and put your feet up. Mix in some time-worn accessories that welcome curious hands. The only thing missing will be the views of the water. Cottage style is anything but formal. 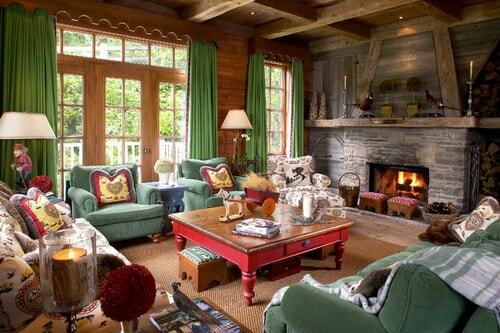 Cottage style is often subdued, relaxed and influenced by colors found in nature. 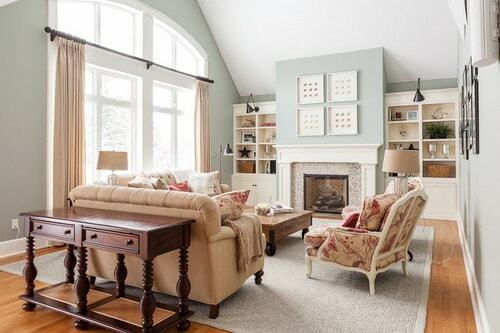 When choosing paint colors for a cottage room, select calming neutrals. Opt for creamy whites, light, ocean blues or subdued tans. 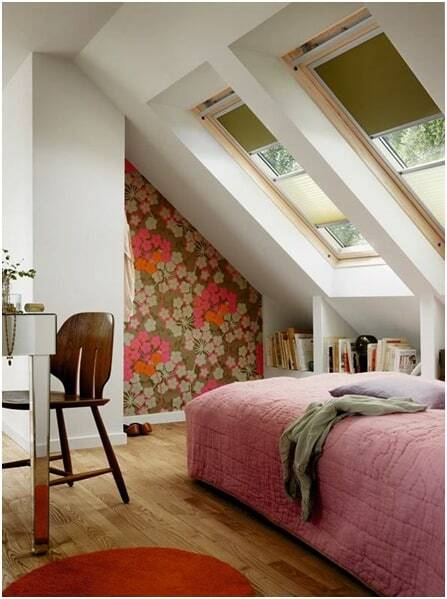 Skip the paint in one or two rooms and cover the walls with wood. Beadboard wall panels or rustic wood panels can not only cover walls that are worse for wear but add texture and visual interest. Keep the floors simple as well. Allow the Cottage Living Room floors to stay in their original, and potentially, imperfect state. 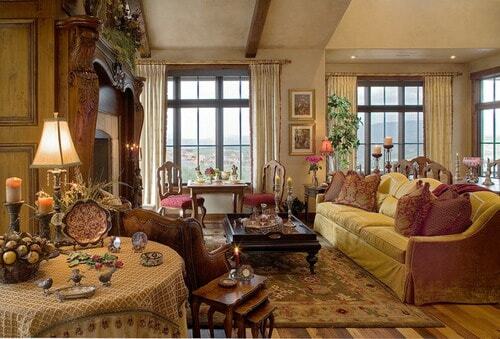 Should you want to cover the floors, opt for throw rugs or painted stencils. Vintage rugs provide comfort underfoot, but painted rugs can add visual interest and define space within a large living room. Cottage style is a mixture of old and new, and all of it is casual and unassuming. Reinforce the “put your feet up” ideal with secondhand furniture found at the thrift store or inherited from a family member. 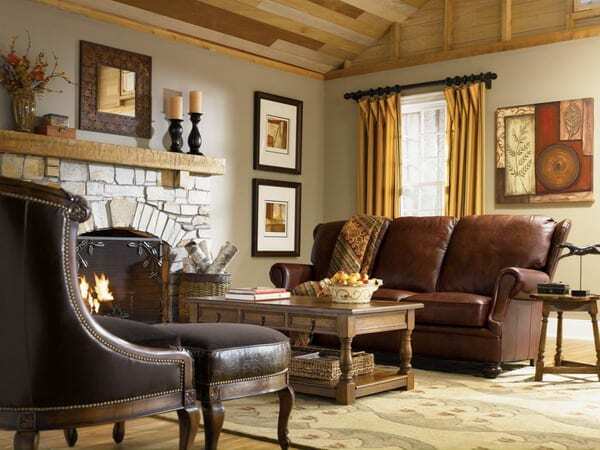 Add seating to any living space with an overstuffed armchair or couch, both covered with a tan slipcover. Throw pillows and blankets in complementary tones of mismatched fabrics, such as plaids and floral, add whimsical color. Eat your meals at a vintage table, made of wood, metal or wicker. Dining table chairs need not match but should be the same height. When decorating a sleeping space, keep it relaxed and unfussy. Metal bed frames and wooden bureaus procured from the consignment shop provide the basics. Increase the cottage charm and use sections of aged wooden fences as headboards or antique crates as side tables. Any Cottage Living Room can benefit from storage. Use rustic bookcases, armoires and shipping trunks to provide function and a sense of cottage chic. Continue the relaxed cottage style with carefully chosen accessories. The accessories need not be prized collectibles that are kept behind glass. Cottage-style accessories are anything but precious. Anything can be wall art. Hang retro music instruments, worn quilts or old signs alongside family pictures. Decorate bookcases and table tops with natural items such as pine cones, small pieces of driftwood and weathered stones. 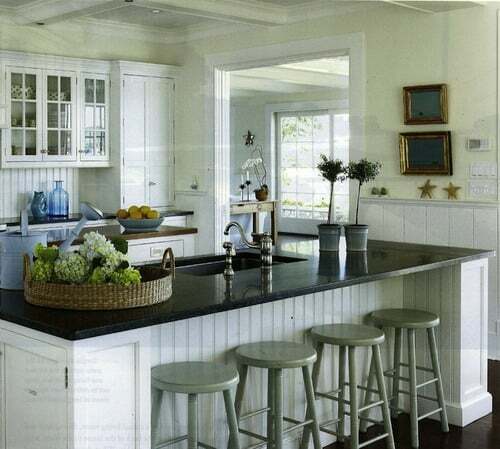 Incorporate familiar cottage elements, such as seashells, in interesting ways. Decorate the dining table with votive candles in antique tea cups nestled alongside seashells of various shapes and colors. The accessories can be cluttered or simple but cannot be contrived. These are items that have been carefully cultivated over time. Don’t limit the cottage style to the floors, furnishings and accessories. Bring in more cottage charm with the window treatments and the lighting. Window treatments such as bamboo blinds add a touch of nature, while translucent curtains allow the sun to shine through. Curtains and swags made of lace, organza and simple cotton all add charm. Repurpose found objects, such as old oars or large sticks, into whimsical curtain rods. Cottage Living Room lighting can vary from the ornate to the simple. Vintage chandeliers, painted creamy white, add unexpected elegance while retro-inspired pendant lights provide task lighting while looking cute. Use light kits to transform canning jars or teapots into lamps, or simply use the table lamp that was handed down to you from a relative. When vintage lighting isn’t an option, buy new. 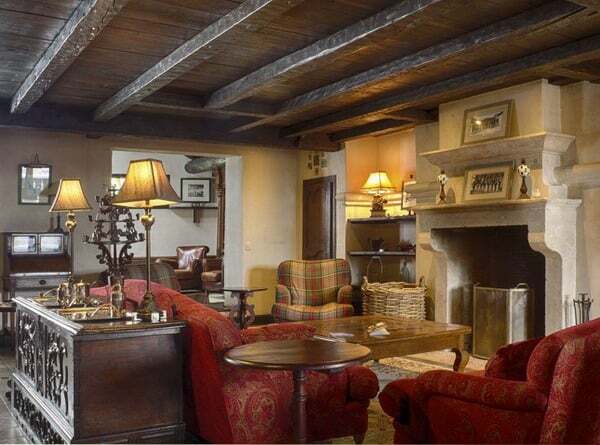 Cottage style is not about adherence to a formal set of rules.